Here's a closer view of the vice. A nice piece of kit, apparently no longer made. When Nigel quietly dropped in the information that his example was a skip rescue, you could hear the grinding of canny Scots teeth a block away. Nigel's evangelical zeal, however, was reserved for Polycell Advanced Quick Drying Pollyfilla. 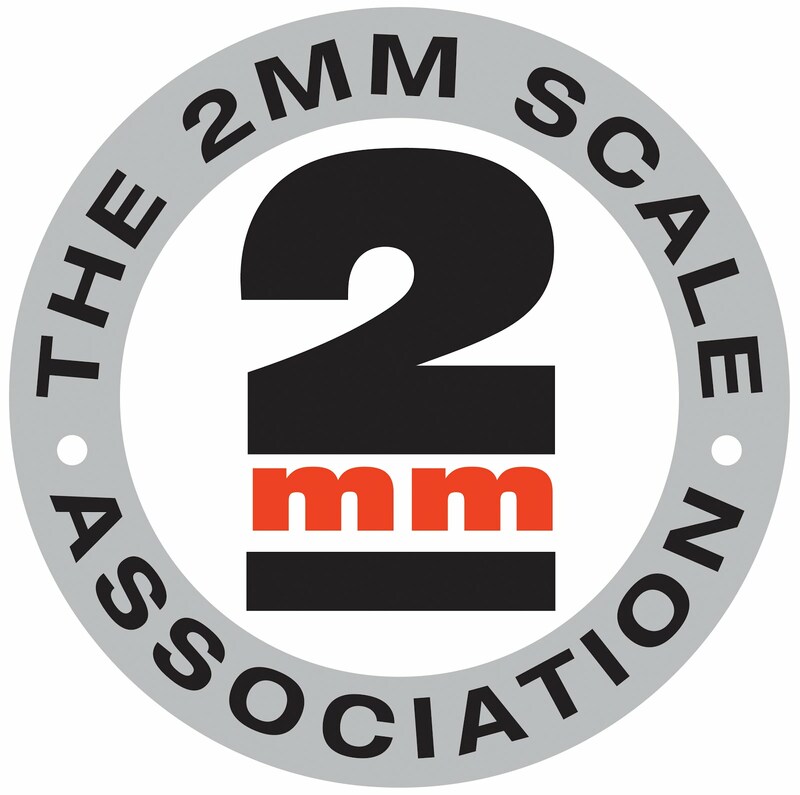 (Other brands exist, but this formulation seems to work well for 2mm needs). This stuff is available in a tube for a fiver or a small drum for £8, and is a very versatile medium for modelling stonework for buildings or walls. It's quick to mix, easy to butter onto a piece of card or styrene using a scraper, and the result is flexible when dry, yet easily scribed to give crisp stone course detail, and readily sanded or distressed with a toothbrush (an old toothbrush, I hope) to soften sharp edges. Unlike conventional fillers, it doesn't need to be built up in thin layers, and it readily bonds to itself so that mistakes can be corrected. The material can be cast (mould and clingfilm) and the finished result can be cut cleanly with a craft knife - the coping stones on this section of wall were produced by slicing up another piece of dried filler. It takes water-based paints readily - Nigel was wielding a small tester pot of grey from the decorating shelves of a DIY warehouse. Alisdair was working on his sewage farm, cursing the railings as far as I could make out. It is apparently a bit fiddly. Jim meanwhile has painted his signalbox (see the November and December blogs). His own account is on RMWeb. A few more shots won't hurt however. The interior has all the necessary details, flags, duster draped over a lever, block instruments ... it's not clear if the flags can be unfurled though. A fire hisses gently in the grate, with the tick of the clock the only other thing to break the silence. The signalman has gone out for a minute to ask what happened to his roof. Stephen, as well as carrying out his self-alloted role of group librarian, was busy with squared paper designing a layout for his layout room. We recall he went through this stage before when the layout room was freshly made and the venue for a memorable housewarming. Then the inevitable happened, and his family filled the room with junk when he was off earning a living. (This seemed a familiar scenario to most of us at the meeting). Clearly, his New Year resolution is to fight back and reclaim his space. We will see! but we are with him in spirit. Chris had come armed his 4F chassis, aiming to get the group's advice on the next stage. The classic role of an area group - sharing knowledge. Alisdair took on the role of chief adviser, but most others had an opinion as well. Meanwhile Alistair was in Andy Warhol mode, making a perspective sketch from a rather nice looking prototype plan for a stone workshop building from the slate quarries of Easdale off the west coast of Scotland. Whit! Haud on a wee minnit! There were no slate quarries in Leith! Mearns has gone off message again, and that small urban terminus layout of his will never get finished at this rate. Or beyond the Templot stage for that matter. However, each to their own. We know better than to argue with him. This month's lecture was an account of a steam preservation project in Kenya, presented by Graham. Brevity was not its main feature. The interested reader can learn more here. Nigel had brought some excellent Seville Orange cake (thanks Carol) which followed soup and bacon rolls ... and endless tea and coffee. Some nattering did take place after all, and one subject for discussion was the 2mmSA Perth Supermeet on Saturday April 21st. Mark your diaries, and if necessary negotiate with your better halves, now, to avoid disappointment. Next month's meeting will be on the 10th in Glasgow, and the Short Talk will be by Stephen, who as the only professional railwayman in the group will doubtless have something of interest to tell us. If you'd like to come along, let Alisdair know via www.2mm.org.uk/contacts.